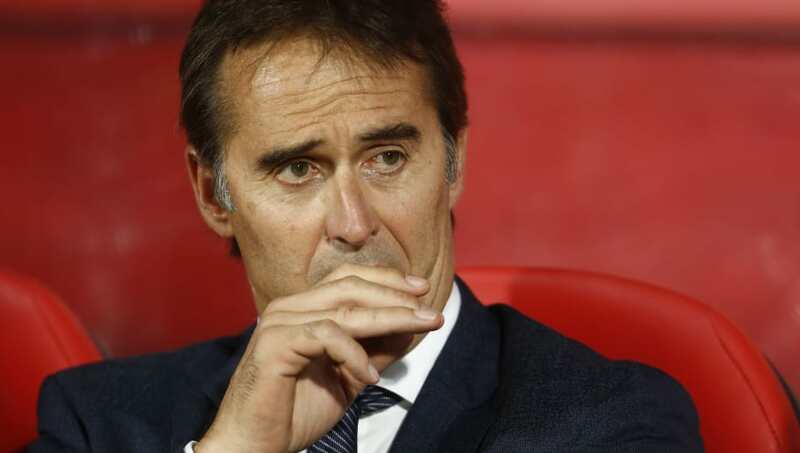 Real Madrid manager ​Julen Lopetegui has voiced his opposition to La Liga's plans to host games overseas, citing the need to ensure the competition remains fair and equal for all clubs. La Liga ​announced earlier this month that a 15-year initiative was agreed to promote the game in the United States and Canada with multinational media, sports and entertainment group Relevent, where points would be at stake as part of the regular season. The first clubs off the rank set to lead the way in the new venture are ​Barcelona and fellow Catalan club Girona, in what will be a home game for the latter. However, the ​Real Madrid boss has spoken of his disillusionment with the plans, voicing his concerns over Barcelona receiving an unfair advantage as they are more likely to receive the majority of support - despite the fixture being held on neutral ground. "I've talked about this before. I'm not in favour of what is happening," he told reporters during his pre-match press conference, via ​Marca. "It doesn't make the league equal. As one of Spain's leading clubs ​Real Madrid are likely to be heavy favourites to be the next side brought into the fold to make the trip across the Atlantic, and it appears safe to say Lopetegui will not be best pleased. However, Lopetegui was forced to quickly turn his attention to matters of Los Blancos' upcoming league fixture on Spanish soil as Real travel to face Athletic Club on Saturday in a bid to continue their unbeaten start to the season. Having seen the majority of his side partake in international duty over the past fortnight Lopetegui was aware of the challenge which awaits due to the limited time he had to prepare with his squad. He added: "The players arrive when they arrive and you have to adapt. Athletic have been preparing for the last fortnight and so we must know what to expect in Bilbao. It will be a great game but very difficult and we must keep up the momentum that we had before the break. Athletic will ensure we have to play well to win. "You have to be 100 percent full of energy for the next match. The match against Athletic is a very important one for us."